So its November – which means for the past month, our dear friend pumpkin has been getting ALL of the attention. 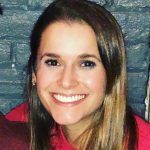 Don’t get me wrong, I am guilty of pumpkin-centric thinking as well! In fact, I JUST posted a recipe for Classic Pumpkin Bread, so seriously – I am not one to judge. Pumpkin bread is obviously delicious. Adding chocolate chips obviously makes it even MORE delicious. 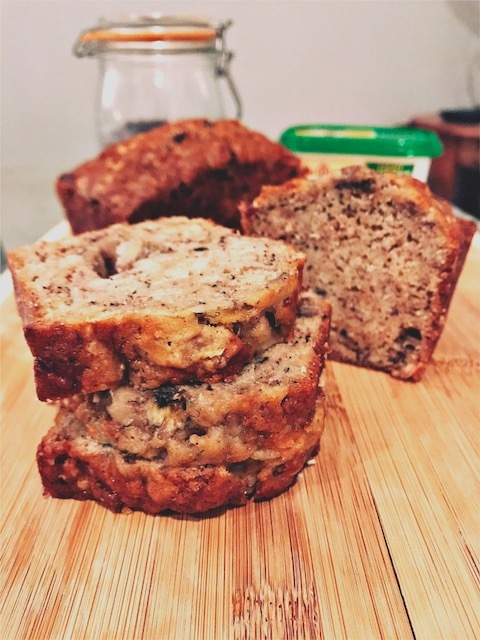 But I think its time we take a step back and remember another on of my favorite quickbread flavors – Chocolate Chip BANANA Bread. 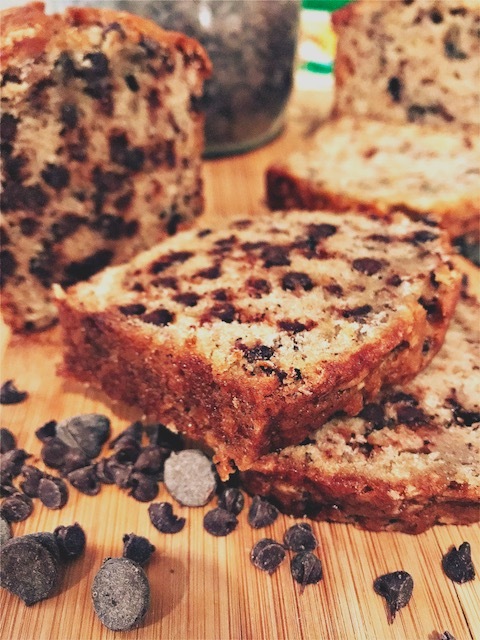 This recipe is a classic banana bread base with added chocolate chips – the bread is moist, dense, and flavorful, packed with chocolate chips, with a hint of my two favorite baking spices – cinnamon and nutmeg. 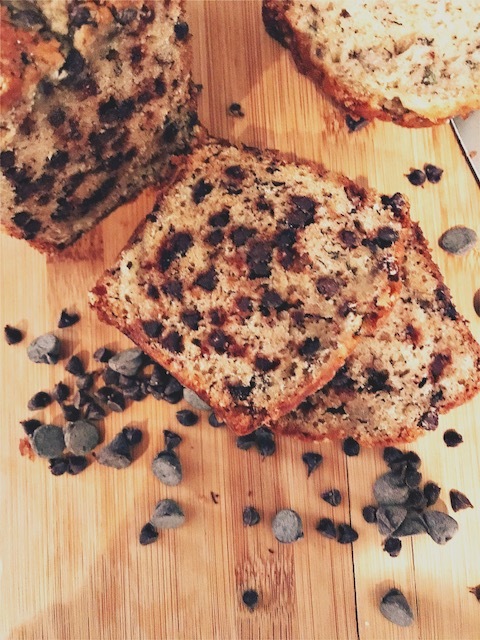 Without chocolate chips, the bread is sweet – but, in my opinion, not too sweet for breakfast! 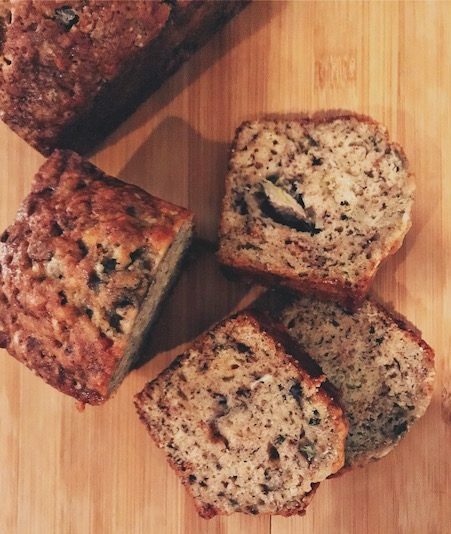 This bread is great at room temperature and therefore awesome on the go. But, if you have a few extra minutes – through it in the toaster. Let those chocolate chips get a little bit warm and melted – you have got yourself some ooey gooey banana chocolate deliciousness! 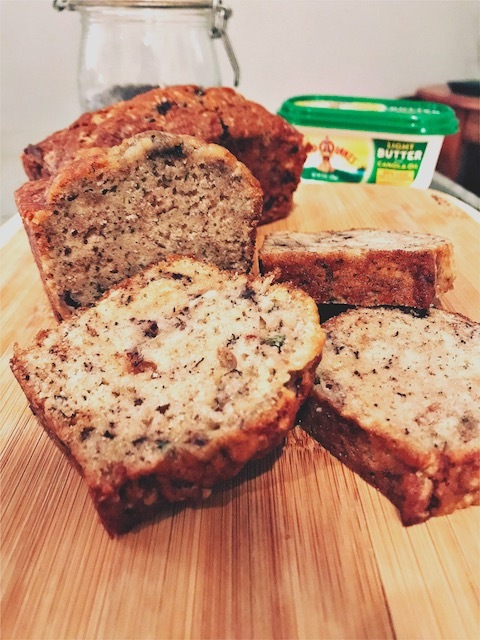 Now, if you tried out my recipe for Classic Pumpkin Bread, you may be thinking – hmm… this recipe looks oddly familiar. Well, yes – aren’t you great at making observations. That is because this is the EXACT same recipe – only change, 2 cups of canned pumpkin is swapped for 2 cups of mashed bananas. Voile! 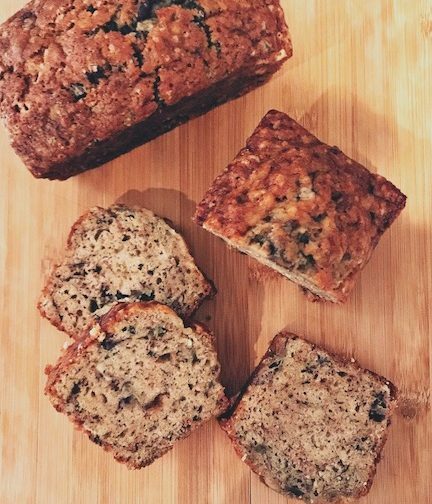 Pumpkin bread transforms into banana bread! In this batch, I only added chocolate chips to half the batter so I could have some plain banana bread and some chocolate chip banana bread. I used mini chocolate chips because I wanted to have little chunk of chocolate in every bite! But any size chocolate will do – mini, regular – use whatever you have got in the cabinet! 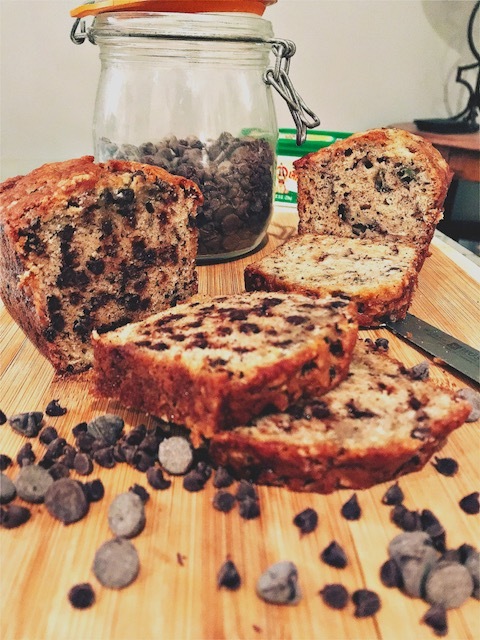 Mini chocolate chips will spread the chocolate more evenly throughout the bread, but trust me – standard chocolate chips won’t let you down! As for nuts, I personally prefer pecan or walnut – but again, you do you! Enjoy this bread plain, with butter, cream cheese, fresh preserves, peanut butter or nut butter – I promise you won’t be disappointed! Preheat oven to 325F. Lightly grease 2 large loaf pans or 4 small loaf pans, set aside. In a medium-sized bowl, combine oil, water, mashed banana, and eggs. Stir to combine - set aside. In a large bowl, combine flour, sugar, salt, baking soda, cinnamon, and nutmeg. Stir to combine. Pour wet ingredients into dry ingredients, folding gently until all ingredients have been moistened. Fold in chocolate chips. Bake at 325F for 40 minutes (small loaf pans) to 1 hour (large loaf pans). When the bread is fully baked, an inserted wooden toothpick should come out clean. Allow bread to cool for 20-30 minutes, Then remove bread from pans and allow to cool completely on a wire rack. Enjoy with butter, cream cheese, jam, or anything else your heart desires! Storage: Once cool, wrap in plastic wrap - store in dry place for 4-5 days. For longer storage, store in refrigerator or freezer.